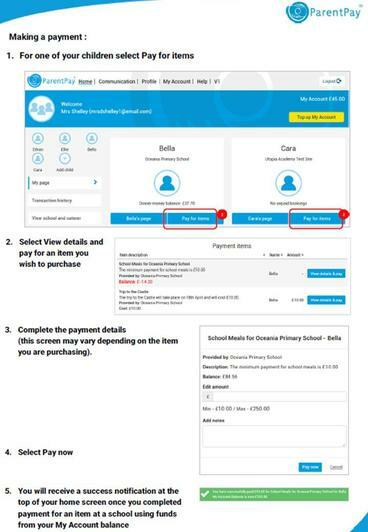 The recent update to the ParentPay portal has caused some parents problems when topping up their child's account or paying for items. 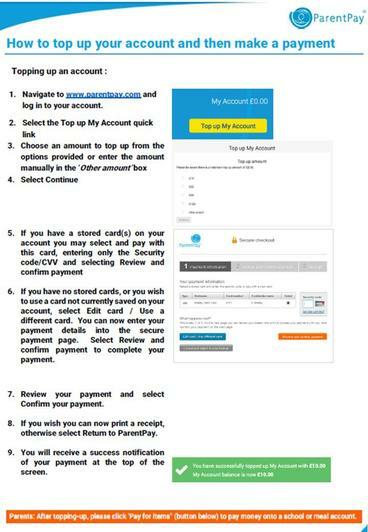 The following instructions have been produced by ParentPay to help parents to successfully top up and pay. This information is also stored in the Parents Section of the website under Useful Information.